Regie voor Maritiem Transport (RMT) was owned by the Belgian Government from the outset in 1846, operating passenger and mail services from Oostende and Zeebrugge in conjunction with British Railway Companies using mainly Kentish ports. Co-operation with Sealink ended in 1986. 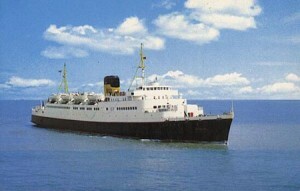 The main similarity to the earlier Belgian car ferries was the low headroom vehicle deck which precluded the carriage of freight. Bow doors were also omitted, therefore adding to turn around times. On 28 February 1997 the Belgian State closed an important and historical period concerning transport of passengers from and to the UK. The first official crossing ever under the Belgian State took place in 1846, a history spanning 151 years. On the 29th May 1968 m.v. Roi Baudouin berthed at Parkeston Quay opening the new link with Ostend, the service was daily, leaving Parkeston Quay at 21.45 in the summer and 22.30 in the winter months. The Koningin Fabiola was named after the Queen of Belgium. She was the first vessel to be built at the Boel-shipyard at Temse (Belgium) and was sold for breaking March 11 2004. 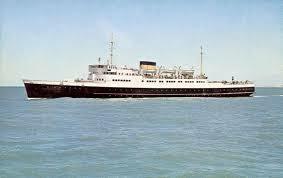 15/08/1968 Oostende/Dover and Oostende/Parkeston Quay. 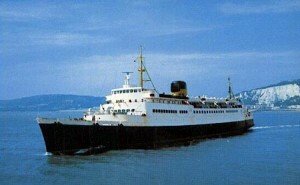 7/1983 Sold to Ventouris Group, Piraeus Greece. Renamed Georgios B. 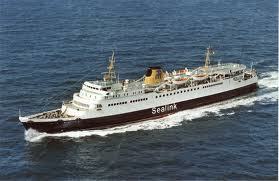 10/1998 Sold to Agapitos Express Ferries, Piraeus, Renamed Express Hermes. 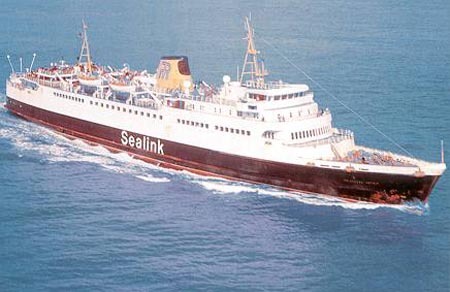 08/11/1999 Sold to Minoan Flying Dolphins, Greece (Hellas Ferries). 20/10/1999 Arrived Alang, India for breaking. Prinses Josephine-Charlotte was sold to Panamanian owners and renamed “Letho” and later she was renamed “Athens Express” and finally broken up in Greece in 1984. On the 29th May 1968 Roi Baudouin berthed at Parkeston Quay opening the new link with Ostend, the service was daily, leaving Parkeston Quay at 21.45 in the summer and 22.30 in the winter months, at 3241 tons, accommodation was for 850 passengers and 160 cars. 1987 Broken up Gadani Beach,Pakistan 19th March. On the 10th September 1973 Roi Baudouin sailed from Parkeston Quay for the last time and closed down this short lived service.